When my kids were little, we moved half way across the country far away from family. How I wish I'd had access to an app like this! Cricket Media has discovered a way to eliminate those distance barriers with their latest app, Story Bug. Whether you are a parent who travels far away from home for work, or a grandparent who is looking for opportunities to bond with your grandchild, or a military family that moves on a regular basis, this app makes those special moments with infants and toddlers possible. Brief Description: A new reading app that combines video chat with an interactive reader, allowing young people and adults in different locations to read specially curated selections drawn from Cricket Media’s portfolio of acclaimed children’s magazines including Babybug, Ladybug and Click. This is the perfect app for families! 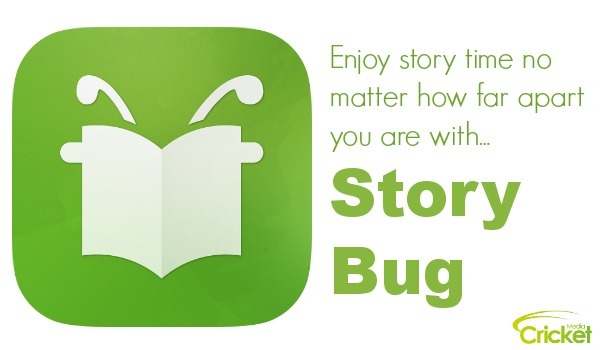 Story Bug allows children and adults who are in different cities, states, or even countries to enjoy reading time together. The app itself is free to download and comes with two free eBooks. Additional books can be accessed via an in-app subscription ($4,99/mo, $14.99/6-mos, $24.99/yr). 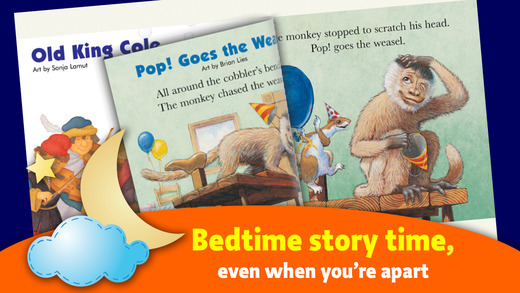 You only pay for the subscription once and you can add as many family members as you'd like, so even abuelita or Tía María can take turns reading to your nene every day. Your subscription gives you access to dozens of books, magazines, and stories from Cricket Media, including Babybug, Ladybug, and Click. More stories are being added monthly. 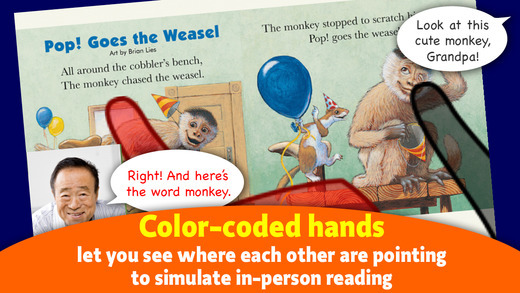 Since both parties see the same screen, you can read aloud to your child if you are away at a conference, turning the pages at the same time. Both screens even show where the other person is pointing, so you can direct your child's attention to specific images and words. You also have the option to upload photos of each user, and these profile pictures appear at the top of the screen, so little children can see the face of their loved one while listening to him or her read the story (and vice versa). This is such a great app for early learners and the materials cover critical developmental topics, such as letters, numbers, shapes, colors, and more. It doesn't appear to be available with their Spanish magazines yet. And it would be especially great if it were available on Android devices, too. Disclosure: I received access to this app for review purposes. All thoughts and opinions are my own.